Ah summertime. It’s going to hit 97 today so we are off to the lake. I just wanted to share a couple of the journal pages I finished while on my trip. I have to say I’m amazed at what you can do in a Moleskine journal. The pages hold up really well to paint if you don’t use too much. Gesso works great on them also. I took limited tools with me and had already added some paint and collage elements, even a little stamping to the background. I love the moleskines. I just got the new huge watercolor moleskine. I think it's 11 x 16. It's beyond words wonderful. 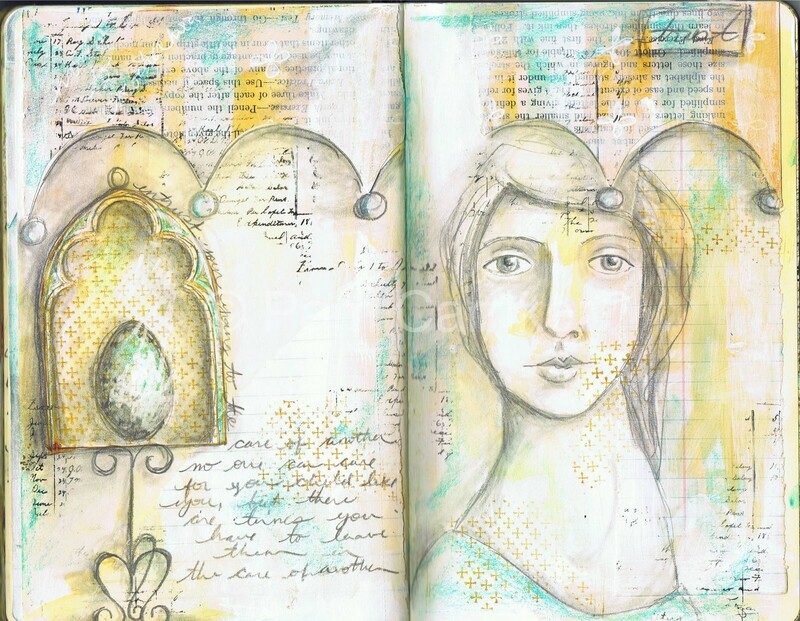 I just started a brand-new blog and I posted one of my journal pages. Please take a look if you get a chance. These are just wonderful..I've been so busy making ATCs for trading I've neglected working in my journal….and painting on canvas too. Not for long tho…Hope you had a great time at the lake..we have a little beach near by and will get the grandchildren together for a trip there next week!!!Blessings!!! your pages are wonderful, as always. 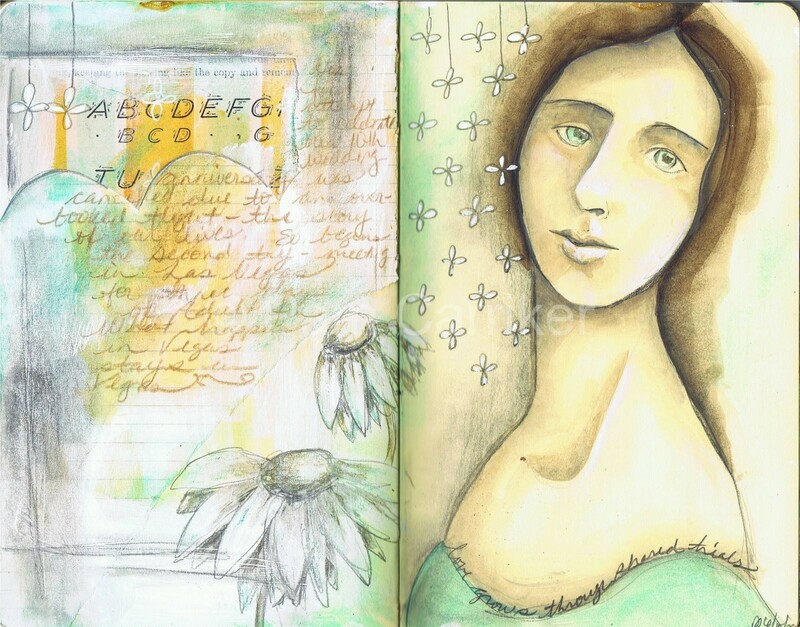 love what you journaled…it is so true…sometimes we just have to let go and let god. gorgeous portraits! I like that there is so much going on in each page, so much depth.have fun at the lake Pam! Love the new pages -simple, yet elegant with nice soft colors. Enjoy your day at the lake!